Gattefossé has designed and manufactured functional lipid excipients since 1950, developing strong capabilities in raw material qualification, synthesis reactions, process analytical technology, and quality control analysis. Our lipid excipients are manufactured using vegetable oils—including corn oil, apricot kernel oil, a wide array of plant-derived fatty acids—and alcohols—such as fatty alcohols, polyethylene glycol (PEG), propylene glycol (PG), and polyglycerol. Raw materials are subject to strict quality control before use to ensure they meet pharmacopeia standards and often stricter company specifications. Depending on the raw materials used, these reactions enable the manufacture of solid, semisolid, or liquid excipients. The fatty-acid chain length and composition in terms of fatty alcohols and mono-, tri-, and diglycerides impact end-product physicochemical—hence functional—properties. 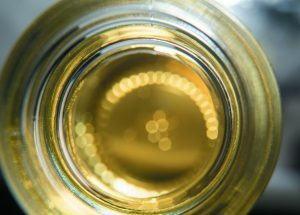 Our oleochemists are thus able to develop pharmaceutical, nutraceutical, and cosmetic ingredients having targeted properties through the selection of raw materials and the design of synthesis reactions. Since lipid excipients are made with natural plant-derived raw materials with intrinsic variability, process robustness is critical. 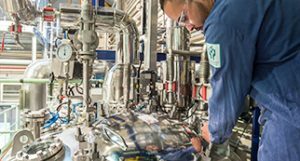 Our oleochemists work with production teams to optimize synthesis processes and establish appropriate in-process controls that consistently deliver high product quality and batch-to-batch reproducibility. Their input helps fine-tune processes to control impurity levels that can impact excipient performance and stability. They are also working on processes that enable the reduction of waste materials, water consumption, and the use of catalysts. Gattefossé has and continues to be a source of new validated analytical methods for lipid excipients, many of which have been incorporated into the European Pharmacopoeia.